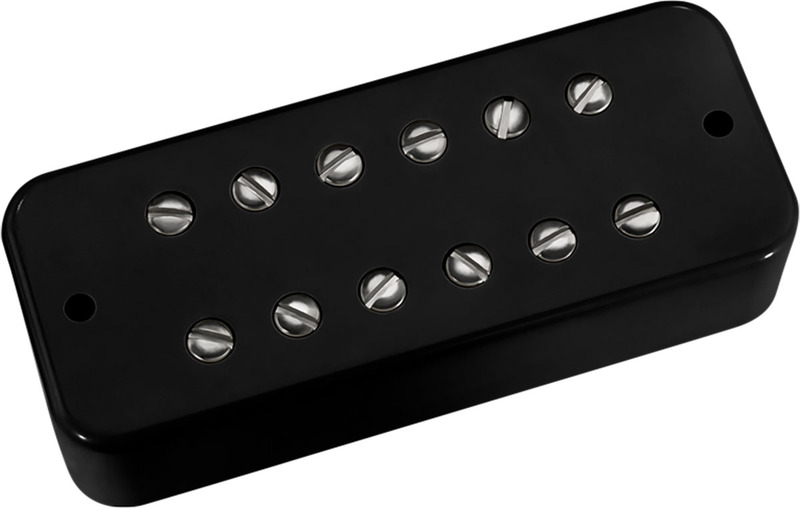 The DiMarzio DP154 DLX Plus™ is a high output hum-cancelling P90 soapbar bridge pickup, often combined with the DP169 Virtual P90 or the DP162 DLX Plus Neck model. The result is that the DLX Plus has power, but it's not muddy-sounding. Often combined with the DP162 Neck model, which has almost as much power as the DP154, with a leaner bass response so low notes sound more defined. Both come with 4-conductor cable for coil-splitting and parallel options. The DLX Plus was not designed to duplicate the sound of a standard soapbar. The sound is more like that of a modern full-size humbucker, most similar to a Steve's Special™. Turning up an amp's midrange control, even with high gain, will produce a fat, punchy sound that retains a lot of definition.